Oracle Web Server also called as OHS (Oracle Http Server) or Oracle-Apache is built on Apache Webserver. Oracle has added few custom component (like mod_plsql, mod_osso...) in Apache webserver & shipped it as Oracle Http Server. Discussion in this page is currently w.r.t. Oracle Http Server Version 1.0.2.2.2 which is shipped with 11i (11.5.8-10). In coming weeks I'll add 10G Application Server Integration with Oracle Applications 11i. Oracle Web Server or OHS is entry point in applications, It processes requests coming from network over Client. There is Web Listener listening for Web Requests. If request is for simple html page core Apace returns HTML page but if URL refernced need further processing it will be forwarded to respective module like mod_pls, mod_jserv ... I will start with basics like how to start stop webserver, important directories & files , troubleshooting , tuning & important things to know in oracle applications E-Business suite Webserver. Web Server comes under third ORACLE_HOME & I will use it as IAS_ORACLE_HOME in my site in future. If you have Installed Oracle E-Business Suite Vision Instance you will see it under Middle Tier under . Lets assume you have installed apps under /u01/VIS11I then your iAS will be under directory /u01/VIS11I/ora/iAS & your IAS_ORACLE_HOME environment variable will point to /u01/VIS11I/ora/iAS. All files & directory related to Application Server will be under this directory. For Apps DBA / oracle apps sysadmin following files/dir are important SID_Hostname.env, Apache, network . · Apache is main directory where your most webserver configuration Sit also called as APACHE_TOP . Important directory under Apache are Apache, Jserv and plsql . Login to your server & check if these files/directories exists. · When Apache starts , it starts with damon HTTP using httpd.conf (in Apache/Apache/conf) this is main configuration file which contain config parameters for Core Apache component(Few Important parameters are PidFile, Port, Listen, User, ServerAdmin, ServerName, DocumentRoot, ErrorLog, LogLevel, LogFormat, TransferLog, ErrorDocument , VirtualHost, SSLLog, SSLLogLevel, include, SSLCeritificateXXXX, RewriteEngine) To understand meaning of these parameters see below tail end of this article. 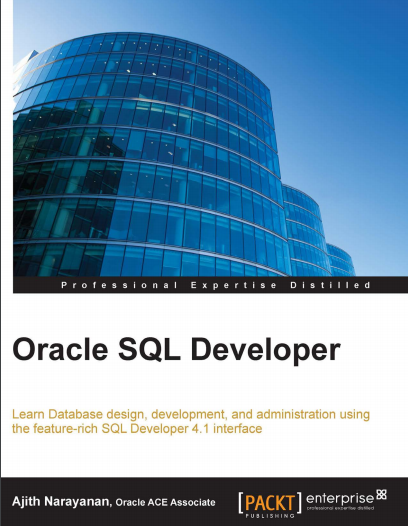 As an Oracle Apps DBA or sysadmin following configuration files are quite important in understanding and troubleshooting oarcle web server ot oracle applications 11i HTTP Server. oprocmgr.conf Used to configure and manage each remote apache Instances managed by local Apache Instance. oracle_apache.conf This configuration file under $IAS_ORACLE_HOME/ Apache/Apache /conf is used to configure Oracle built modules supplied with default Apache ( for eg. mod_plsql, oem, imeeting). This file calls other configuration files ( plsql.conf, immeting.conf, apps.conf. Database Server for Applications. This file contain your dad (database Access Descriptor ) information like database connection description & apps user name & password . If you are changing apps password you use utility FNDCPASS and after changing password you have to manually change apps password in this file. Now you will say this is security risk to see password like this in a file . Yes it is but you can obfuscate this password . · PidFile The file in which the server should record its process identification number when it starts. · Listen The port to which the standalone server listens. · ServerAdmin E-Mail address, where problems with the server should be e-mailed. · ServerName ServerName allows you to set a host name which is sent back to clients for your server if it's different than the one the program would get (i.e., use "www" instead of the host's real name. You will see load balancer name if load balancer is configured for Oracle E-Business Suite 11i. · ErrorLog The location of the error log file. · LogFormat Format of your access_log which records all users hitting your site. Useful in monitoring your webserver & hits like who referred to your site , what all users came & for how long they stayed on site. · VirtualHost Used if you want to set Virtual Host for your Oracle Application Web Server. · SSLLogLevel Log Level of SSL logs, helpful in troubleshooting SSL issues with Oracle Web Server. · include Uesd to include other configuration files. · SSLCeritificateX If SSL is enabled on apps 11i , used to define ssl parameters, like certificate file ..
· RewriteEngine To define Redirects for your Oracle Apps Web Server. The article was really helpful in learning abt Apps Administration concepts. Keep up the gud work. I like the way of ur explanation. The language was simple and very much explanatory.